Only 16% of computer science degrees are earned by women. Without diverse perspectives influencing AI, gender biases will inevitably skew programs, algorithms and the design of robots. How do we engage more women into the AI industry? If we communicate the humanistic value and how it will make our world better we can hope to encourage more diverse students to feel more passionate about AI, to become tomorrow’s technology leaders. I had the pleasure of interviewing Margherita Pagani, Director of the new Research Center on Artificial Intelligence in Value Creation inside the Institute of Artificial Intelligence in Management at emlyon business school (France). 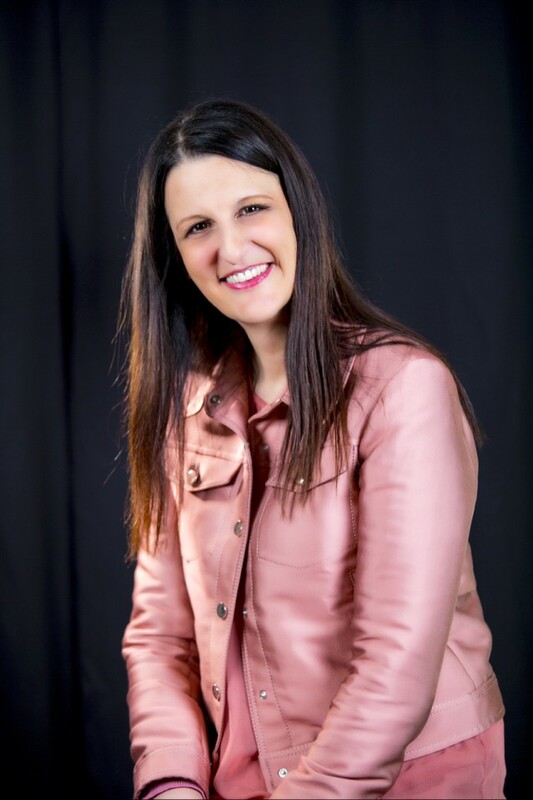 Margherita is also a Full Professor of Digital Marketing and the Academic Co-Director of the MSc in Digital Marketing and Data Science, at the business school. She was Affiliate at Massachusetts Institute of Technology and won several research awards. Her research interests focus around AI and its impact on value creation, consumer engagement and user behaviour. Can you share with us the ‘backstory” of how you decided to pursue this career path in AI? I decided to pursue the career path in AI just after my Master of Science. After a short work experience in RAI Radiotelevisione Italiana in Rome, I had the opportunity to move into academia to study AI enabled platforms, user interaction experiences and business models. In 2001, I launched a new research center at Bocconi University, “New Media and TV Lab”, with the mission of exploring the evolving digital environment characterised by interactivity, AI, and smart technologies. With the support of leading companies in the field, I directed several research projects exploring the value drivers influencing user interaction with digital interactive technologies, such as interactive television, social TV, wireless and mobile applications, Internet of Things and virtual and augmented reality. I also studied algorithms for maximising earned attention in social media. Over the past 15 years I’ve been studying how AI and related technology are evolving and how these technologies allow new forms of experiential engagement which has effects on several outcome variables. I spent several years as a Visiting Scientist and Research Fellow at MIT Massachusetts Institute of Technology where I had the possibility to collaborate inside the “Communication Future Program” in the Value Chain Dynamics working group. This experience, enhanced by continuous interactions with the leading scholars and a brilliant environment, allowed me to enlarge the study of AI enabled services considering more the role of the multi-sided platforms, the dynamics of the value creation and capture inside the business ecosystems. I also benefitted from a four-year research grant at Bocconi University, aiming to explore the evolution of wireless technologies in 3G and 4G mobile environments. These research opportunities, and the collaboration with the companies supporting the research activities, allowed me to lay the foundations in studying a fast industry, which was just starting to grow at that time. Now, I am a full professor of digital marketing and academic co-director of the MSc in Digital Marketing and Data Science, at emlyon business school. More specifically related to AI, I am the director of the Research Center on Artificial Intelligence in Value Creation. This is one of the two academic research arms of the emlyon Institute for Artificial Intelligence in Management (AIM), where we research into the impact of AI on value creation in human interactions and user behaviour and the new way companies create and capture value doing business and shaping business ecosystems. As a professor studying and interpreting the dynamics of this fast environment, I’ve learned how important it is to interact inside the ecosystem of a global environment. This means that academics cannot conduct research without working closely with companies and governments. Knowledge needs to be translated into new pedagogical approaches, which allow the creation of new competencies for those working in the AI business (students, executives etc.). I would represent this as a set of loops. Each loop needs the strict interactions between the different actors and all together drive the evolution of the ecosystem. What I’ve learned, and I want to transfer, is the importance to be open to the global environment and ecosystems we are exposed to, in order to detect the challenges and transform them rapidly into opportunities. Being an early maker of our future is the greatest opportunity we are empowered to take! In my current role as Director of the new Research Center on Artificial Intelligence in Value Creation at emlyon, I aim to analyse how AI impacts on value creation in human interactions and user behaviour and the new way companies create and capture value doing business and shaping business ecosystems. This offers the possibility to work closely with different companies from a range of industries and great scholars and labs to bridge theory and practice. I’m currently directly involved in several research projects, studying for example how robots in the hospitality industry impact on customer satisfaction, how AI creates value in the financial industry and how smart technology in retail impacts brand equity or supply chain. Inside the Research Center we also organise a seminar series in ‘Value Creation’, where we invite leading scholars in the world to present key research aspects related to AI and discuss with the companies the managerial implications. The goal of the series is to stimulate interdisciplinary research, campus-wide interactions and networking. I’m also co-directing a new Master of Science in Digital Marketing and Data Science, that I had the privilege to design and launch at emlyon business school. It was a great opportunity to convert the competencies acquired step by step from the research of this fascinating field, into a pedagogy tailored for the new program, integrating digital business and data science. Students are exposed to a global environment on the program, meeting companies from three continents, guest speaker experts in the field and the opportunity to develop real-life projects. The goal is not only to transfer knowledge and competencies, but to expose participants to the evolving digital world, empowering them with the right skills to shape progress and innovation. In this program we are also researching how to stimulate start-ups to empower women and social projects to contribute to the social and economic development of our society. There are many people who helped me along the way and made it possible for me to develop this career path. The person I want to thank the most is Prof. Charles Fine at Massachusetts Institute of Technology. I owe a debt of gratitude to Prof. Charles Fine as he allowed me to collaborate inside the “Communications Future Program” in the value chain dynamic working group at MIT. This multi years’ experience allowed me to “walk for a while on the shoulders of the giants” and be immersed in an intense intellectual environment and vivid, brilliant ecosystem. This opened up my mind and gave me a better capability to look at things from a different perspective. As you know, there is an ongoing debate between prominent scientists, (personified as a debate between Elon Musk and Mark Zuckerberg,) about whether advanced AI has the future potential to pose a danger to humanity. What is your opinion on this? As smart systems become involved in ever more decisions in different industries, there is a danger that decisions are being made without sufficient scrutiny. For this reason, it is very important to put emphasis on ethical issues, but also security and privacy, and define new rules to carefully discipline this field. Moreover, there is also the serious risk that we can put too much trust in the smart systems we are building. The system depends on the quality of data it learns from them and if they are imperfect, we should not expect perfect answers all the time. We need to consider that AI is created by humans and it is still controlled by humans. Human values define machine values — not the opposite. It is important to define the regulation and clear ethics and security principles which must be respected. Moreover, it is more and more important to increase the communication of these, to eliminate fear and increase the knowledge of possible risks. Of course, this should be implemented by governments, industries, startups, academia and human beings, in general. It is very important that a region, or nation, builds an ecosystem and system of innovation to enable, implement and thrive in the application of new technologies. Challenges such as leadership, talent and diversity are also very important and critical. Many industries face the issue of needing to increase diversity (to form innovative teams, to create products/services applicable to all etc. ), whilst also accessing to the most important resource of all — talent. Have you used your success to bring goodness to the world? If so, can you share a story? I feel the need to give back to the community, so to transform the experiences and opportunities I had in the past years into something useful which brings goodness to the world. I think that education plays an important role in this. At the moment I’m very involved in the pedagogical and diffusion part of this. The new Master of Science in Digital Marketing and Data Science represents the first step in increasing knowledge and expertise around this topic. I’m also participating in initiatives aimed to increase education around AI in emerging countries. As you know, there are not that many women in the AI industry. Can you share some advice to other women in the AI space to thrive? I recently attended the Women’s Forum for Economy and Society in Singapore where I led a panel on AI with global experts in this field. We debated exactly this topic, as it is more and more important to guarantee diversity in AI. To reduce this gap, it is important to guarantee equal access, especially in emerging countries, to stimulate women to study data science. In the program we recently launched in Paris we have a larger number of females registered, but this issue is still occurent and critical in emerging economies. I included this quote on my dissertation, and it represents my goal and wish for the next steps of my career and life. It is also reflected in the mission of emlyon’s AI in Value Creation Research center, which I have the pleasure to direct. If you could start any influential movement that would bring the most amount of good to the most amount of people, what would that be? I would definitely start with education in emerging economies to motivate new generations to be passionate about AI and to understand and implement the benefits of this AI, to improve services and bring value to companies, users and society. A better knowledge of the risk and the opportunities opened by AI could empower the new generations for a better world.